5 What to Put in a Fishing Backpack? With all hobbies, come accessories… Each aims to create a more satisfying experience that ultimately creates comfort, versatility and, an enhancement to what you enjoy doing. So, what makes the best fishing backpack? Well, that depends on what you are going to be using it for and what you want from a backpack. 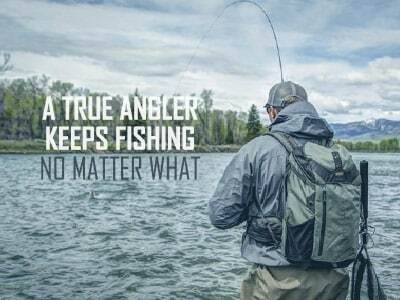 Most anglers desire a backpack that gives them options and a lot of utility and which are durable and last for all day fishing trips. Also, when going through fishing tackle backpack reviews, you want to make sure that all your tackle will fit and the bag is water resistance at a minimum. It’s certainly important to make sure that backpacks and tackle backpacks are waterproof because they will come into a lot of contact with water. This tough, well-designed backpack was built to last. It has textured, durable fabric that is strong and reinforced. It was designed with a front-loading tackle box, accessible through a zippered entrance and with adjustable dividers. What makes this backpack a great companion for all your carrying and storage needs is that it has leader winder side pockets with a multitude of other pockets that will hold your accessories, gear or anything else you need to carry around on your fishing trip. It also has a zip-out cover that will keep its contents safe from an onslaught of the elements. The backpack is rounded off well with padded shoulder straps to enhance comfort. This backpack has a fantastic LED system that provides vision inside the bag or your fishing area (where you will be working) when the sun goes down or light gets dim. It’s a great feature that will be very much appreciated when needed. Wild River has designed a large backpack with a huge upper storage area that offers versatility with its removable divider, thus making it even more useful with an unobstructed inner space for holding extra-large items. This backpack can handle 4 large tackle trays which adds to the already existing set of attributes. 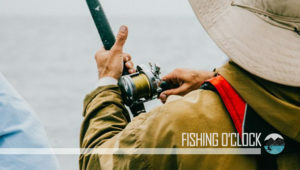 Fishermen have complimented on the fact that the backpack’s front cover can fold down giving the angler a working space that is flat and has multi-uses. The 3606 features a large, upper storage area with a versatile removable divider. It provides a lot of storage room for just about anything you need for your fishing trip. Another stand out feature of this backpack is the lower panel compartment that adds 4 handle panels. From tweezers to scissors, with its many outer work pockets and smaller compartments, you will have quick access to all the tools you need quickly. Waterproof protection with a durable construction consequently makes this backpack a clear winner for many anglers and with its waterproof bag included, rest assured your paper maps or documents will be protected. The Fishing Tackle backpack has a fantastic high-quality water-resistant construction built out of nylon fabrics. It’s a large capacity backpack with a protective rain cover to water resistance and as a result, makes sure the contents of your backpack don’t get destroyed. Added strength is provided by double SBS zippers and nearly unbreakable KAM buckle. This backpack is designed with 18 different rooms inside giving you the ultimate versatility in where you can store things and options. Some of the most noteworthy features of this backpack are the night vision enhancements from the reflective strips and the small “legs” on the bag that protect it from water damage when you put the bag down on any surface. Anglers have commented that the inside linings of this backpack are typical and are probably just as weak as all the other models on the market. This backpack includes 3 medium sized tackle trays that are accessible through the zippered flap on the back of the bag. The 2 large pockets on the side where you can put your extra reels, bait and other tools you need to access quickly. The Spiderwire backpack also includes a great cooler feature that provides day-long protection to heat sensitive items. Not only does the bag look great, its built with strong polyester to enhance the durability. Its built to get at least 20 lbs of gear into it which means you don’t have to decide what you will or won’t bring on your fishing trip. To make sure the 20+ pounds of weight isn’t going to affect your performance and cause fatigue, the backpack is designed with padded, thick shoulder straps. Some anglers have complained about the quality of the zippers- not the most durable and lasting. This tackle bag from Piscifun with its strong nylon fabrics provides fantastic protection against the water and protects the bag and its contents from splashes or rain. The tackle bag has 2 large pockets on each side that allows you to store pliers, reels or other tools of the trade. Also, on the side is a unique water bottle pocket that is designed to keep the bottle of whatever you, snug with 2 strings that are retractable and keep the bottle in place. There are 2 pockets on the bottom of the bag for putting fishing pliers, scissors or grippers in. adding to the versatility of this bag, when the tackle bag is used as a chest bag, you can hold the fishing rod there too. Here are our picks for the best fishing pliers. Some customers have indicated that water resistant should mean waterproof- as some occurrences have happened where this bag’s contents were not as well protected as should have been. Could be more isolated and should be taken into consideration. It’s an exciting time! You have your reel, rod, and all the accessories. Now you need to carry them around. Finding a great backpack that fits all your needs isn’t as daunting as you think. With some pre-decision making sorted out you can figure out what you want and don’t want in a backpack quickly enough. Firstly, why do you need a fishing backpack anyway? Any successful fishing trip will require you to have all the necessary tools. Ask any angler and they will tell you that you need A LOT of tools. From Bait to lures to extra reels. The list goes on and the more you fish the more you will find that you need to make your expedition a success with extra things. Increases your range of motion- freeing you up to turn, bend or squat if needed. If you go on a fishing trip for a few days, you have a central, organized place to keep your important tools- much like hunting, if you don’t have the tools you won’t be successful. 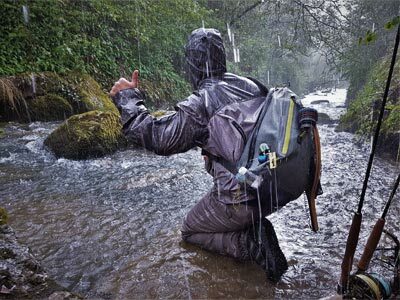 Backpacks should be waterproof- if you don’t have a place where you can store your tools, that is water resistant, well you can imagine what can happen. You won’t be impressed. Especially after the first water-related accident. Many fishing backpacks have a large compartment for tackle box storage. It’s not convenient to carry a box around with you by hand. LED light – So you can see in the dark or when lighting conditions are dim. Sunglasses hardened pocket on the top – So that you have a place to put your sunglasses and they won’t get broken. A flip out pocket that has a clear waterproof film – Where you can stick your fishing licenses, permits, and cell phone. Retractable workplace – Fold-out parts of the backpack that can be utilized and are a flat service to work on. Fishing rod holders – 2 pockets at the side that can hold fishing rods while you get to your fishing destination. Large storage area – Usually at the base of the backpack there is a large area where you can put lots of gear, tackle box in, etc. In a general sense, good fishing backpacks should be designed to support a reel, rods, baits or lures. There are a lot of models and designs out there. So, what should you be looking for in a great, versatile backpack? There are a few critical elements that are a tell-tale sign that you have found yourself a bag that will be suitable for your needs. Let’s take a quick look at features that should certainly stand out! Picking the appropriate size for your fishing needs is important. First assess what you will be bringing, what fish you will be trying to catch and what tools that require. It may be wise to start with a bigger bag to give yourself some wiggle room, but added size is added weight. You might feel that weight after a while and your neck and back will not be as forgiving as you think. Your backpack should have more than enough room to house all your gear and tools. Make sure your backpack comes with lots of options for a variety of compartments, side pockets, and pouches. Many of the better-designed backpacks come with convenient side pockets that make reaching for tools easy as you are mid-cast and need things fast. As a rule, the wider the strap placement is on your shoulders, the better the weight distribution will be. Avoid narrow straps on a backpack- they will cause lower back pain because of most of the weight is carried in that area. Make sure the straps and backing have a meshed material- because this will allow you to be more comfortable and not sweat as much. All different backpacks with different materials, from nylon to polyester, can be treated to be water resistant. Look for a backpack that is built with strong materials that offer the most waterproofing possible, internally and externally. Waterproofed backpacks also offer stain resistance from mud and other dirty things. They don’t hold in the musky smell that untreated bags have. You will appreciate this after the first trip is made. Weatherproof bags also will protect the investment you have made in all the tools and gears (not to mention your delicious sandwiches and snacks). It’s like having anti-rust treatment on your car. Just buy it. These two categories are just as important as size and weatherproofing. You want to get a backpack that is extremely comfortable with the right amount of padding at the back and with padded shoulder straps- because you will be out on the water for long stretches of time and you will be fatigued without the appropriate level of ergonomic design. Even weight distribution is a must- you don’t want to get back and neck issues/strains using the wrong pack. You need a backpack that provides the right amount of support but with not a lot of extra bulk. Versatility is important in your fishing backpack. You want a bag that will give you options with compartments, pouches, extra pockets and dividers inside the bag to make storing different tools a breeze. You will save yourself a lot of time looking through a bigger bag when you know exactly where everything is and is presented to you immediately. Look for easy to unzip bags with strong, weather resistant zippers. Many manufacturers offer backpacks that seem like“swiss army knives”- with LED lights, folding trays and lay flat designs. Look for those. 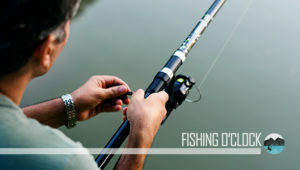 You will appreciate the options as you fish through the different seasons and times of the day. One additional feature to watch for when buying your backpack is a mesh backing and mesh backing on the shoulder pads because this will allow your body to “breathe” better with the backpack being on all day and furthermore reduces annoying, uncomfortable sweating. No one wants that. Durability and strength of materials are very important. You don’t want a bag that will break on you halfway through a trip or shortly after the manufacturer’s warranty expires. Look for resilient designs with woven, reinforced fibers such as nylons and strong polyesters. You will have sharp and pointy items in your backpack, therefore, make sure it has a strong lining infernally as well to prevent things from damaging the bag. Look for bags with poly or molded zippers for anti-corrosive protection. Stitching on a bag should be double or even triple stitched to provide the best protection from the seams bursting open from all the gear you will put in it. Look for smartly designed bags with a thoughtful purpose behind the construction- easily reachable pockets? Check. Individual compartments inside the bag? Check. Different manufacturers have different thoughts on what the backpack should be doing for you. Look to buy one that has really put a fine touch on the details. It will make the fishing experience that much better for you. Not the first thing you think about when looking for a fishing backpack. But, think about it. You need to keep your bait from rotting from being out all day, you also need to keep your snacks and food cool and avoid spoilage during the long days out on the water you no doubt will be having. It’s not something you should overlook as you don’t want to be carrying a separate cooler with you all around your fishing trip. Get a bag with a large, sealed compartment or removable lightweight cooler with enough space to keep your food safe and bait fresh. Look for a design with 2 separate chambers. You certainly don’t want your bait mixing with your food. Waterproofing is certainly critical in a fishing backpack. One part of the purpose of a fishing backpack is to make carrying around all your gear easier and to put less strain on your body. The other purpose is to protect your valuable equipment from the harsh elements. The main element anglers like yourself deal with is water. Water will rust, corrode and damage your stuff, therefore you need to find a backpack that will protect all of it. Here are the most noteworthy factors to look out for when sourcing out your next fishing backpack. Higher quality fishing backpacks offer additional water resistance in the inner lining of the bags. This will help give you even more protection in case any water does get in. Waterproof zippers. Look for reinforced zippers made with anti-rust materials (think stainless steel) that are strong and not flimsy. Look for a backpack that has smart pocket locations and a well thought out design- less water will get into your backpack if you don’t have to open more pockets than you should to get your stuff. Think large side pockets for easy retrieval of reels, etc. in contrast to an inner compartment where you need to unzip your backpack and reach in. High-quality bags that will last you more than one season will have a thick, strong material with a reinforced bottom and sturdy, water-resistant pegs acting as “legs”. You want to be able to put your backpack down and make sure that is that it doesn’t get wet or anything else. Less exposure the better. Another component to a fishing backpack that makes a big difference in the experience when lugging around all your gear, are rod holders. They free up your hands so that you don’t have to hold the rod while you are hiking to the location where you will be fishing. Most fishing backpacks will have least 2-rod holders on each side of the pack. Perfect if you are using multiple poles to fish with- consequently you can put a few in the rod holders and decide which one to use when you get to the water source. Designed usually with a strong mesh material to last. What to Put in a Fishing Backpack? Good question! Everything and anything is the answer. Everything that you will need on your next fishing trip. Tackle box – All your extra stuff like lures, flies, extra lines, sinkers, and different hooks, etc. Reels – Extra reels so that you have some variety and choice in case you want to switch fishing methods mid-way through your day. Rods – You can carry extra rods with you to use with those extra reels. Give yourself as many options as possible. Documents – Carry safety around water and dirt, your fishing permits, ID, cell phone and license. Bait – Store your bait to catch those big fish. Look for a fishing backpack that has a cooler compartment so you don’t end up with rotted bait (and dealing with the smell and clean up). Food/Snacks – Don’t forget your sandwiches and snacks! The cooling compartment will come in handy for those. Plus, your drinks. Accessories – Don’t forget your sunglasses. That blazing sun will do a number on your eyes. Sunblock, extra money in case you need to pay for something on site. Extra small towels for cleaning up. Also, a small first aid kit will go a long way. You really can put anything you want in your new fishing backpack. Once you get the fundamentals out of the way (tacklebox, reels, rods, bait, documents) you can certainly personalize the bag and put whatever you need for your trip. If this is your first trip, you will have a better idea on your next trip as to what you need to make sure you have going forward. Q: Do I really need a fishing backpack? Can’t I just use my normal one? A: Yes, you do and no you certainly cannot. A regular backpack will not be able to withstand the pressures from a regular fishing excursion. Everything from the water ruining your equipment to the snares and extra hooks destroying and poking holes through the regular fabrics of a normal backpack. You need a backpack suitable for fishing and for it to be reinforced. Also, you will appreciate a backpack specifically designed for what anglers do all day. Stand and sit. You need an ergonomically design backpack that is structured with the right shoulder straps and torso support, therefore, you won’t be in pain and cause yourself an injury. Here are some things that a fishing backpack offers and a regular backpack wouldn’t. A special area designed for tackle boxes and bait- usually in the base of the backpack. Fishing rod holders- Special holders for extra rods you might need. Workplace area- many of the backpacks feature a great fold-out tray that allows you to have a handy workbench for your tools and organizing yourself. Weather protected area for your sensitive fishing related documents, cell phones, and licenses. Many large sized pockets that are easily accessed when reaching back to pull things out. Waterproofing- many regular backpacks don’t have this. It’s a critical feature that will prevent your fishing gear from being ruined and even more, your fishing trip from being spoiled. Q: What should I be looking for in a fishing backpack? A: Above all, you want a backpack that is well built with strong materials like nylon, weather resistant and has a smart design to it. Lots of large pockets for gear and a well thought out an internal organizational system. Q: What do I even put in this backpack? A: Think basics first- Lures, extra hooks, reels, rods, tackle box, bait and important documents. Once you have the basics covered, you can put in anything else you want. Sunglasses, sunblock, snacks, food, water, towels. You will know what you have you forgotten to include after your first trip. View our buying guide to find the fishing sunglasses reviews. 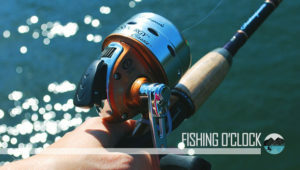 You can also check our ultimate guide on how to choose a quality saltwater and freshwater fishing reel. So, what makes the best fishing backpack? The short answer is one that suits your needs and protects your goods. Going through fishing tackle backpack reviews will give you a good idea as to what you need to look out for when purchasing a new backpack. Certainly, look for weather resistant and strong materials such as reinforced braided nylon and many pockets to hold stuff in. A fishing backpack should be an essential part of your angling experience. 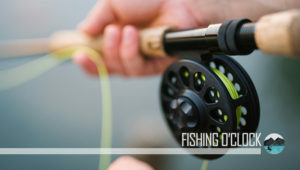 You will need it for many reasons which include, waterproofed environment to store your equipment during trips, an ergonomic, specially designed accessory what will make sure you are not causing strain on your back and neck and structured to carry everything you need specifically for your fishing. Taking the time to figure out what you will need is a good idea and above all will save you from any disappointment on your next, great fishing trip.